It is true that it will take Europe particularly France, a little time to recover and pick up the pieces after the cowardly terrorist attacks that took place last week. And it is also true that there will be some changes in the European behavior and daily life. It will take time for many families to recover from the loss of their loved ones. Such incidents have usually a huge impact on children. But the Europe and specially France should know that the last terrorist act was just a prelude to a bigger threat to create a long and lasting headache not only for the Europe but also for the whole world. In other words, it was bait and a well-planned trap. Their goal is to create chaos. So, I say to Europe, don’t take the terrorists’ bait and don’t fall for their trap. We Saudis have seen this bait more than once in the past but refused to fall for it. In Saudi Arabia, Daesh attacked mosques in Saudi Arabia to drive a wedge between different communities and to tarnish the image of Saudi Arabia. However, Saudis foiled those attempts and showed solidarity with each other and expressed full confidence in their country’s leadership. Daesh failed to create chaos in Saudi Arabia because we knew that it was a bait to create mistrust among people in the Saudi society. This was not their first attempt, as they had tried this several times in the past as well but failed each time. During the 1990s, Saudi Arabia came under terrorists’ attack twice. In both the incidents, Americans living in Saudi Arabia were the prime targets. One was perpetrated by Osama Bin Laden’s Al-Qaeda and Hezbollah was behind the other. 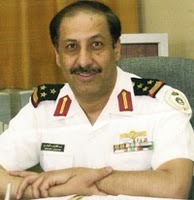 The primary goal of those attacks was to create unrest in the Kingdom and to pit the United States against Saudi Arabia. Both the terrorist organizations realized that Saudi Arabia was invincible and it was not easy to harm the Kingdom’s stability. For the information of the readers, Osama Bin Laden considered Saudi Arabia as his enemy No. 1. But, he knew that penetrating Saudi society through terrorist attacks wasn’t that easy. So, he prepared the bait for the strongest nation on earth. Yes, I am talking about the good old US and the US took the bait. On Sept. 11, 2001 four US commercial planes took off from the American east coast heading to the west coast, but never made it to their destinations. We all know the rest of the story. Osama Bin Laden’s real target was Saudi Arabia. He knew that the US would seek revenge. This was why; he recruited Saudis for the heinous mission. Shortly after the 9/11 terrorist attacks many people around the world knew that the US would attack Afghanistan. And it did. The goal of the US was to eradicate Al-Qaeda from Afghanistan but the US took its actions to a new level one by attacking Iraq. This is when people realized that the US had taken the bait. During and after the American invasion of Iraq, more vicious terrorist cells were established in Iraq. The Americans built prisons that added to the anti-western sentiments. IS or Daesh was born in Iraq under the watchful eyes of the Americans. Ironically, the most dangerous terrorist organization in the world was born in the so-called American prisons that were supposed to keep terrorists on a leash. It is sad that the US with its advanced spying technologies didn’t know how to deal with the Iraqi Army after the fall of Saddam Hussein and didn’t know how to use their human intelligence capabilities to know who was friend and who was a foe among Iraqis. And now we have a terrorist organization that is going global. Without a doubt, France and all Europe will act and react — policies toward refugees may change; intolerance and Islamophobia may increase. But, it is crucial for Europe not to drag itself into a war with the unknown or the invisible. European borders are wide open and no matter how many watchful eyes on the ground, it will be impossible to monitor every soul. The terrorists’ aim is to create friction between all of the Europe and the millions of Muslims living and working in Europe and around the world. We should not help them succeed. It is true that France and all of the Europe have the right to do whatever is necessary to protect their people, their interests and their land. But it is also important to do it without taking the terrorists bait. Let us think about the roots of such terrorist organization and who is behind it and funding it. The world must join hands to eradicate all terrorist organizations. Written by Abdulateef Al-Mulhim. Don’t Take Terrorists’ Bait reprinted with permission of Arab News and Abdulateef Al-Mulhim.